Ukraine Travel Photography Gallery : photos, photographs, pictures and images of Ukraine. For travel information on Ukraine hotels, tours and flights see the Kiev, Odessa and Ukraine Travel Guide. 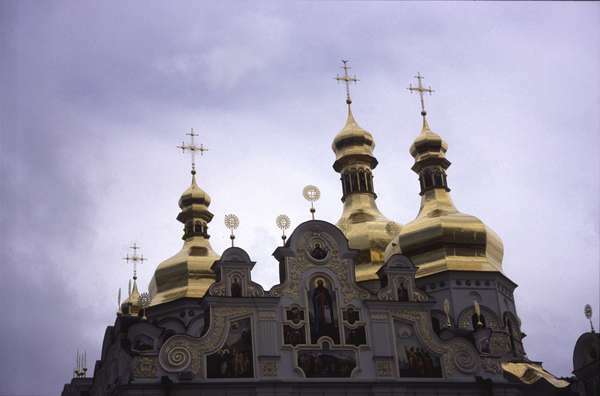 Photo of Ukraine, Kiev, Percherska Lavra, Dormition cathedral. The Caves monastery (founded 1051) was the first monastery in Kievan-Rus. A site of pilgrimage for Orthodox Christians in Europa, for centuries it was Orthodox Christianity's "Rome"